Hi, I’m Andrzej. I am a blogger and speaker on Carification. Now, I’m sure most of you know what this is all about, but I thought I would start with a little look at what carification is and a short history lesson on it. So, first off, what is Carification? The use of car parts and components on things that are not cars to enhance user experiences. First coined around 2002, carification was originally used to describe the act of making things that were not cars into cars or at least more car like. 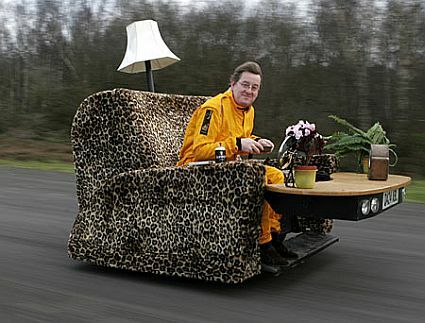 Who can forget the sofa car for instance? By 2010 / 2011 this had changed into the definition above. No longer did carifiers make things into cars, they instead took things that came from cars and added them to other things. This was particularly big in the white goods industry. Very quickly, carification gurus and evangelists appeared. Bloggers began to dedicate years of writing to the topic. Companies began to sell “plug and play” kits that catered for the most common type of carification, the so called MCL systems or Mirrors, Chrome and Lights. Adding these types of modifications to washing machines became all the rage. Companies saw huge increases in sales as people began to enjoy more car like experiences with their white goods. Gartner predicted that by 2014 more than 70% of the global 2000 white goods companies would be using carification, but also warned that by 2014 80% of previous attempts at carification would fail due to poor design. As it turns out. they were right on the money. By 2012, many were already beginning to tire of the shallowness of most carification efforts that had happened. Car academics and designers began to speak out about the carification experts lack of understanding about what really makes a car. By 2013 it was becoming obvious that MCL systems had no longevity too them. People described it as the “shiny shiny backlash“. People saw that their chromed up and pimped out washing machines were really just expensive versions of their original machines that had no real value or meaning to them after the first few months. But some people knew that that carification could offer the white goods industry (and others) so much more. These were the ones that in 2014 could boast they were in the 20% of carification efforts that succeeded. They chose to go the route of finding what was actually wrong with white goods and how carification could improve them for the better. Washing machines with bearing sets that had previously only been seen on Forumla 1 cars. Motor designs that derived their efficiency from the likes of the Tesla cars. These were just two of the hundreds of ideas that came from this line of thought, car thinking. Now, in 2015, no one really talks about carification. It’s not that it is a dirty word, people all know what it is. The thing is, now it is just part of good design. Just to finish off, I got a great question after last weeks blog (the carification of a career). If I could go back in time to 2013 and give one bit of advice to people in carification, what would it be? Well, I think it would be two things actually. First would be to try harder, to look beyond the obvious. Second would be to question WHY you are using carification. If you feel that your latest fridge product needs carification because users are not really using it the way you expected, ask WHY. Don’t just jump in and start adding car parts and hoping that it will make the experience better for the users. Consider what else could be done first and then use carification to help enhance this further. 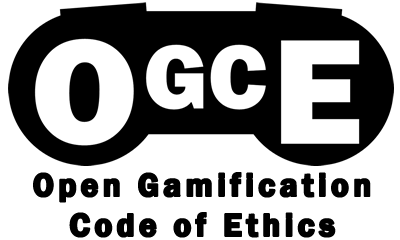 Q: If games were cars – what would Gamification look like? Make sure you put many different drives into your product, just like your car does!